Charter Bus Houston: Why Choose Our SUV Rental Service? Convenience – Let’s revisit that airport example for a moment. If you don’t have a vehicle large enough to seat all passengers, you may be tempted to ask other family members for help with airport trips. There’s also the possibility of using a ride-sharing service. However, both of these options are likely to lead to more stress and delays with plans. At Merlo’s Charters, our SUVs seat up to seven passengers comfortably. This means you can get your family from the airport in one quick trip rather than involve multiple parties. Versatility – From airport pickup/dropoff and graduation day transportation to prom date pick up and game day transportation, SUV rental makes a great choice. You can count on Merlo’s to take care of the details so that your group can sit back, relax, and have fun. Comfort – We’ve all been in vehicles where there isn’t much room and you’re sweating bullets in the Texas heat. 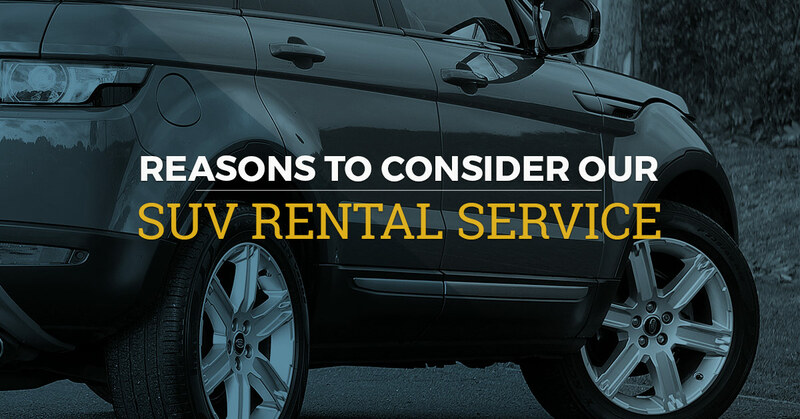 Whether you opt for daily SUV rentals or weekly SUV rentals from Merlo’s, you can bank on a vehicle equipped with comfortable leather seats and dual air conditioning. Our SUVs also have spacious trunks so you can keep the back seat free for other passengers. Affordability – Let’s say that you and your friends are planning a night out downtown. For some, the commute time is about 20 minutes. Others, though, are looking at nearly an hour in traffic. Then there’s the cost of parking for everyone. On a Friday night, it’s reasonable to think that everyone will be paying anywhere from $10-$20. Between the costs of parking and gas for the entire group, you’re looking at several hundred dollars. Why not make it easier by booking our charter bus service? Just have everyone meet at a central point where our driver can go for pickup. After that, you and your friends can relax and catch up while our driver focuses on navigating traffic. Plus, we will drop you off at your requested destination. There’s no question that Merlo’s SUV rental is the most cost-effective means of transportation for these occasions. Safety – Since Merlo’s got started nearly 20 years ago, customer safety has always been our primary focus. We must have done something right because we are currently one of the largest ground transportation companies in Southeast Texas. Part of this success must be attributed to the fact that we maintain the highest safety standards. We even run our own maintenance facility to ensure that customers ride in the safest vehicles on the road. See what makes Merlo’s the premier charter bus company in Houston. Book your SUV rental today.